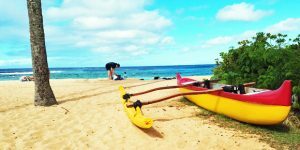 Any idea when flights from Boston to Oahu will be starting? I heard it was suppose to be soon, but I cant find any info . Any insight would be greatly appreciated! Do you mean on Southwest or do you mean this: https://beatofhawaii.com/longest-route-in-us-new-hawaiian-airlines-to-boston-analysis/? That flight is currently operating. We have a group booking from Oakland to Maui late July but we would really love to fly from Sacramento. Do you think we have slight chances that flights may start to go from Sacramento by July 2019. As far as we now know, yes that should work. Expect to know more within two weeks or sooner. We are planning a trip with the family for Christmas 2019. Are you recommending waiting for the Southwest release on May 23rd before purchasing airline tickets? We will be flying from Milwaukee or Chicago to Maui. Waiting to book my June tix on United from LAX to OGG but concerned that United will bring back the 737 Max earlier than other airlines. SWA already said they were grounded til August. Do you think I’m safe for United in June? Thank you for your help. Airlines are removing Max planes from service until August at this point. United will follow in that regard. So should be fine. I’m so excited. I’m taking my great niece for her 2020 graduation. Looks like she’s graduating in the number 3 position in her class. I promised her in PreK if she was Val or Sal I would take her to Hawaii. Forget val or sal…we are going!!!! Not a problem buddy. We fly SW whenever humanly possible for many reasons. In this case, we’ll gladly cough up the bucks for United nonstop widebody service from Newark. Hello, Waiting for Oak to Kauai, think anything will be announced this month? Heading to Kauai in Aug and waiting to book. What evidence do you have for LIH and KOA flights being launched by end of the month? If there is no resolution to the 737 MAX issues, I don’t see why that would happen. I have RT flights booked to Maui for now, but would prefer to fly into LIH and out of KOA. That is what we were told by SWA. And that was subsequent to the aircraft issues. Whether or not it ultimately happens, we don’t know. Any idea if direct SW flights from Kona to Oakland might appear for the fall. 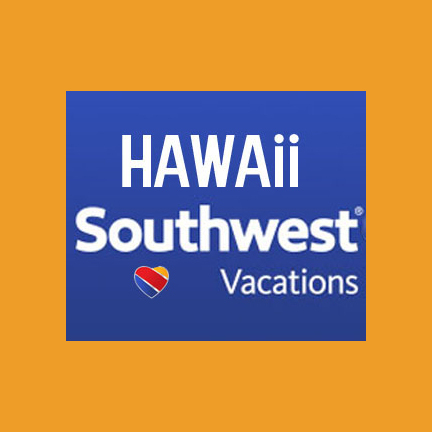 Also, I am currently booked on SW in October on a 7:00 am out of KOA to OAK with a connection in HNL. Should I plan on renting a car from one of the companies that open at 5:00am? Thanks for any input and please have a good day!! We’ve shared everything we know at this point. Let’s see what happens and if there are more flights announced as was indicated would happen at some point in April. Thanks, as always, for the inside track! We have accommodations on Maui for August 16-24. Will be flying out of OAK. 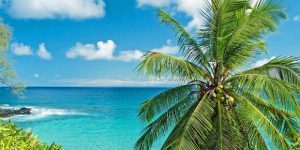 Better to book now at current prices on SW, Hawaiian or Alaska or wait a few weeks for lower fares? We also have the option of using points on SW but don’t feel we have to if the fare price is low enough. That’s a decision based on your ability to deal with not knowing how it will turn out if you wait. Fares should be much better if you wait, with target of no more than $300 RT. Can’t say definitively that will happen or when, but best guess would be May to July. Before moving to Hawaii last year I used to fly from Northern California about 4-5 times per year. I lived near Sacramento but would sometimes fly from Oakland to save money for our family of four. I’ve never been able to secure a fare of $300 RT during the summer months. I actually keep a spreadsheet of all the tickets I’ve purchased to view the history. Also, this was obviously before SW started flying to HI. If you input your dates and locations in Google Flights it shows $475 RT is average and $410 RT is low. I think waiting is okay, as prices will likely not increase in the next few weeks though they also may not decrease. I tend to book 30-60 days out. Not sure if you know, but HA has a feature where you can pay to reserve a good price. For example, if you see the fare drop and want to think about it you can pay $9 per person to hold the fare for a week. If the fare goes up you’re locked into the lower price. If it goes down you can buy at the lower price. If you do nothing after the week you lose the $9 per person. I recommend having Google Flights track your dates. They send you an email any time there is a change in fare (up or down, not just down). You don’t have to search every day; they do the work for you. Downside is they do not track Southwest. 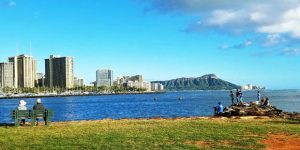 Last year I flew from Houston to Honolulu return, with Delta for $350 a person. The first leg of the journey did involve switching planes in salt lake and then in los angeles, but no long waits. The second just had one 30 min layover. We are hoping to snag another deal like that this year. Prices are sky high though so we remain skeptical. Last year was a fluke I guess! Please take this for what it is worth. We had added a SW Credit card in my wife’s name to make me her companion for this year. I had a bunch of points in my own name. I knew we were going to Hawaii in October, and was watching daily for flights to open. The Friday flights opened, I jumped on flights from BUF to OAK round trip. I also booked OAK to HNL, HNL to KOA and KOA to OAK. Our complete two week trip. It totaled 81,00 points. I kept watching each day, and I have lowered that total to 46,000 points. Points just go back into the account, no fees, and no time limit on when they have to be used. Just food for thought. Points bookings have advantages when you want to change flights. Are they going to have flights from the NW ? 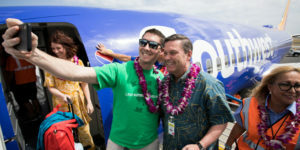 Would you know the best time to book a fare on Southwest in Hawaii (eg. Midnight, 1 am)? I am looking for 10 people to travel to San Diego in October. Thank you! We don’t know yet – just not enough experience with them I Hawaii. Stay tuned for that. The Southwest CEO’s answer regarding Red-eye flights is a corporate answer. They are a cheap airline and they dont want to employ people on 2 daily shifts. Someone needs to own up to the fact that is is not really an airline. It’s a part-time job for most ground employees. Thanks for the updates. However, in the past you’ve suggested bringing an external battery for devices. Has this changed? We changed the language after your question. Yes you need your own power supply/battery, not just a cable.